New Delhi’s Indira Gandhi International Airport is located in the west of the city and the most popular ways to get into the city centre are by metro or taxi. The metro here, which opened in 2002, is fast, efficient, cheap and user friendly, with three lines serving 59 stations around the city. Alternatively, New Delhi boasts a busy bus system, which is very cheap, but can be hot and crowded. 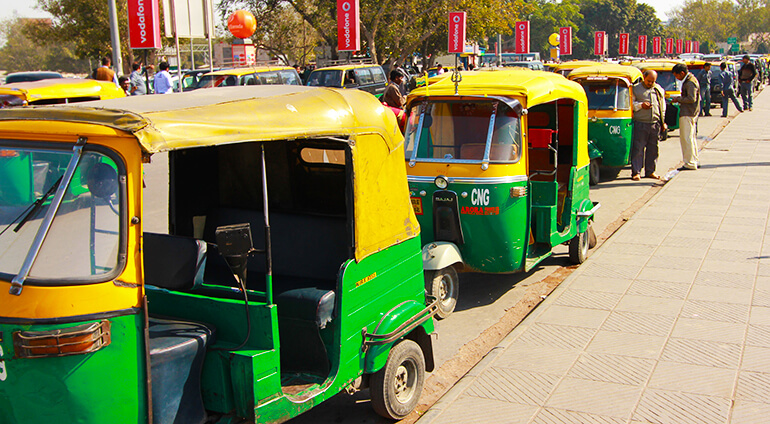 Taxis and auto rickshaws are also readily available around the city, which fares either determined by a meter of by negotiation prior to your journey.